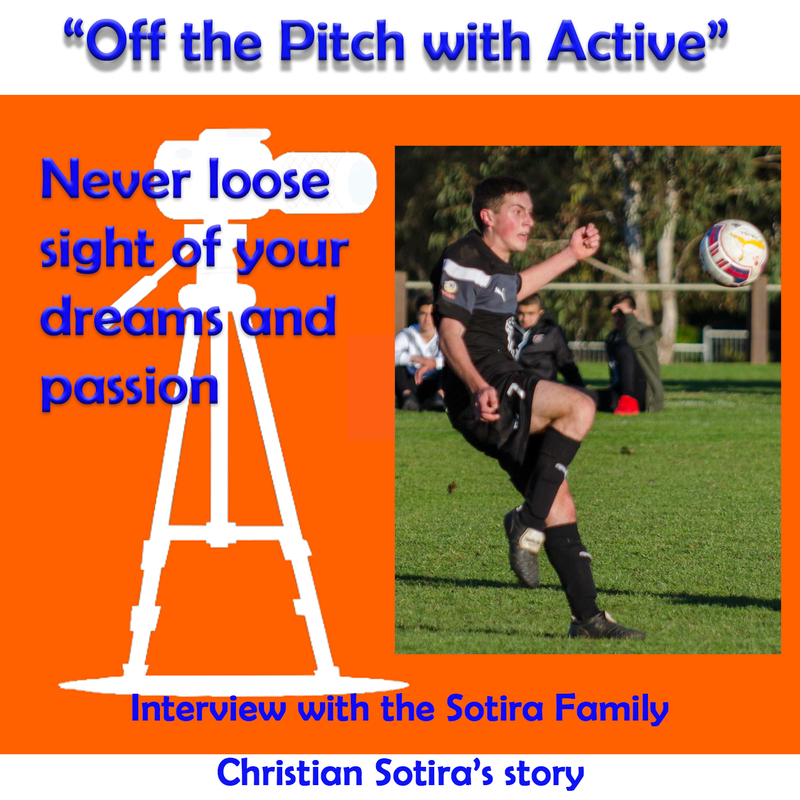 “Off the Pitch with Active” is a program of interviews with people involved in junior sport in some capacity for the benefits of children’s development. I am hoping that these interviews will help recognise people who donate a massive amount of their time to the community and create opportunities for children to excel in sport. I also like parents to get a better understanding of who these people are and why they are spending a lot of time for the benefit of YOUR children. AI: Thanks for joining the second interview with “Off the Pitch with Active”. 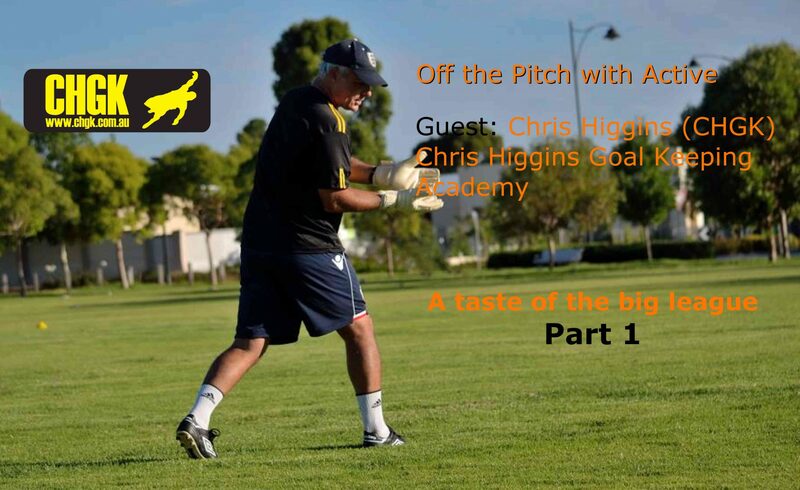 AI: I am here with Chris Higgins (Chris Higgins Goal Keeping (CHGK) Academy) who has been in the soccer goal keeping business for many, many years now. I have done a little bit of research and you can correct me if I am wrong here but you made your debut with Para Hills when you were 15. AI: and you also represented Australia in Futsal at the age of 15. CH: I will never forget it! AI: and represented SA in the National Youth Championship in Sydney. CH: Yeah, I did 4 years in the SA state team. 2 years as 2nd choice and 2 years as 1st choice. U16 & U18 as the 1st choice. AI: and then at the same Championship in Sydney voted players choice for the best player. CH: Yeah, I was voted the best SA state player by the SA players and got man of the match against VIC and WA in the group stages. 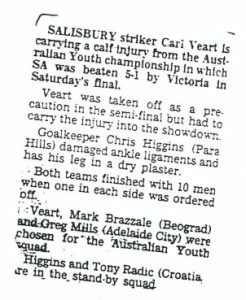 Then we got to the final against VIC and I came off after 20 min from a fractured & dislocated ankle, ruptured and torn ligaments. AI: Uh! Was that at U19? CH: I was 17 playing U18, National U18 Championship. AI: Then you went to England. CH: In between that time, I could have signed for Adelaide City. 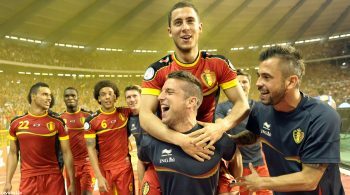 I was training there with Johnny Perin and Zoran Matic. They both wanted me to sign when I was 17. Martyn Crook recommended me to both of them. I had a lot of faith in my ability, maybe not as much as I should have (having said that) … I knew I was going to trial for Glasgow Rangers a year and a bit later as a 19 year-old and they had some good goal keepers at the time. David Mower had just come over from AIS (to Adelaide City). Dennis Martinello was there and Robbie Zabica had just came over from Perth, they were their National league keepers and although I wasn’t scared of competition, I was realistic. I was in the reserves and the 1st team at Para Hills at the time when Martin Crook had an injury. My main aim was to go to UK and trial with Glasgow Rangers as Martyn had set that up for me. Martin Crook had recommended me to Grahame Souness who was a personal friend of his. AI: Oh, is that how it came about? 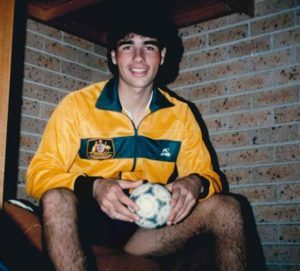 CH: Martyn thought I was good enough so my focus was on that (Rangers) so I never signed for Adelaide City, that is…hmm … probably something I regret. CH: So that never worked out and that was that. They sent me down the road and I ended up with Stockport County and was doing quite well there but again was training one day and hurt my ankle again and I knew I was going to be struggling. AI: That would have been massive blow breaking your ankle and then you decided then to leave England and come back to Australia? CH: I came back home, tried to sign for Campbelltown under Jimmy Campbell. I think they were in the state league at the time. I was really struggling because unbeknown to me while I was struggling with my ankle at Stockport, well.. I may have fractured it then. It wasn’t a break, I strained my ligament at Stockport and I come back but I guess I knew I wasn’t going to be up to it injury wise even though I just had turned 20 at that stage. So I came back signed for Campbelltown but wasn’t enjoying it. I got off to a bad start and I wasn’t playing that well. Then after having a scan a month later, I was really struggling, they said I had a fracture in my ankle and I had been playing with a hairline fracture for months. That’s why I was struggling to run, I had no confidence, I wasn’t enjoying it, wasn’t playing well and that could have gone so much worse. Then I tried to come back again and then I ruptured my ligaments again because it hadn’t healed properly. That was that. I had 2 years out of the game so it was the first 2 seasons I had ever missed. 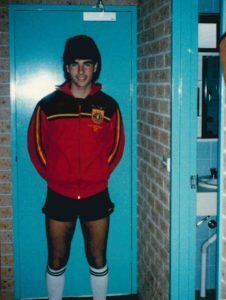 I tried to come back again at Salisbury United in 1993 that was my last federation year but only played ½ a season. I was working night shift as a security guard at the time and was really struggling working night shift and different hours and then training. Instead of going home to sleep after a training I was going to work and I was really struggling with my ankles again, had another ankle injury that was pretty much it and I had yet another year out of the game. AI: Oh no! how much could you take? CH: I had a chat with the Dr at the time and he said I would be a cripple one day and that I had to give it away. He said “look, I know what you are like, you are a nice guy but a bit of a mad man, a typical keeper, so we know you are not giving it away. You just going to have to play amateur’s, train one night a week, don’t run and do bike work and gym work if you want to stay fit. The ankles can’t handle running especially on roads” and I used to love running. I was a good runner not quick but a good runner. The Dr said “You do a 10 min warm up then shot stopping and that’s basically it”. So I did that for as long as I could. Played in a couple of state amateur teams and whatever else, yeah it was always a struggle unfortunately. AI: Gee! But that is a very impressive career but obviously injuries preventing you from going all the way. How did you feel when you come to the realisation, you sort of had a “taste of the ice cream”, basically? AI: You were over there in England, basically the pinnacle of everything for what a 19 year-old would want. You must have felt that “Hey, I have arrived!” but with ongoing injuries. What went through your mind? CH: Devastated in a way that you know you are not going to achieve the only thing you wanted to do. But I think I was honest enough that I could feel that my ankles are never ever going to be good enough for that level. Especially struggling here and go over (to UK) to do what’s really required over there, fitness wise. I wanted to do it, I was very fit then, very lean and very strong, very dedicated but still knew my ankles were no good, all bone on bone. I had arthritis in my ankles at 18 years of age. I knew that before I even went to UK. AI: Oh that’s young for arthritis. 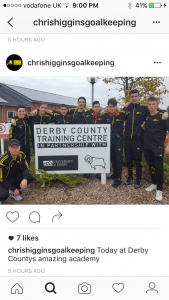 CH: so I know that even though it was devastating with what happened, I am not saying I was going to make it, but I got to the final in the championship U18 state side and gone on to UK the year after, played first team games for Salisbury United when they were the best side around the year before I went. I am not saying I would or should have made it or if I deserved to make it but I got closer than most. The clubs I was at (Glasgow and Middleborough) I got 3 months at each club, all the boys and the players really rated me. So you know straight away if you got their respect. They really thought I had a good chance of making it. I guess that was one thing that got me through that I got closer than most. I am satisfied in my heart. I knew at that time I might not have been good enough at 21, 22, 23 or 24 I may never have been the first team regular at that level but I knew at 19 I was good enough and better than most of the boys I had seen over there because the players would tell me. AI: So how did you discover goal keeping in your early years? 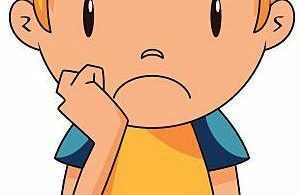 CH: Ehm…I don’t really know…I…I…I first started to play when I was 7 and had a season with Brahma lodge in Elizabeth district junior soccer and I got stuck at right back and I didn’t really enjoy it because I knew I didn’t want to play on the pitch. I still remember it even though it was 40 years ago, I am 47 now, my friend was in goal and I wanted to go in goal but they wouldn’t let me. When he went on the pitch at training I jumped straight into goal. I used to love diving around and I was naturally agile and thought I was good at it. I knew I could do it and that what I wanted to do but they wouldn’t let me go in. My dad was 5”7 and he was a Socceroo and got 5 caps with Socceroo’s and played in Everton reserves. He was an SAS soldier in Vietnam, Cambodia and a few other places but up until the age of 19 at Everton he was a goal keeper. AI: [Laughing] I guess anyone gets to where they are somehow [Laughing]. AI: So when you went over to England, did you leave your parents behind? AI: So you went all by yourself, did you have someone there in UK to look after you. What happened? CH: I saved up money working at David Jones. I did year 11 but I am ashamed to say I did not do year 12 at school. I left school and started to work at David Jones end of January 1986 when I turned 16. I worked there until I was 19 ½ then I left in 1989 to go to UK. I saved up about $8,000 getting $170/week, while I was training 4-5 nights a week, plus Saturday and Sunday mornings. So I got that money by myself over that length of time. AI: So you paid your own way. AI: Was it a contract at the end of this? CH: Only if I was good enough. Martyn Crook recommended me to Graham Souness who was managing Glasgow Rangers at the time and I was there for a couple of months. And I’ve done really, really well but I did a silly thing, I left and went down to Middlesbrough. They got in touch with me. A letter arrived one day saying come down and have a trial. I know Graham Souness used to play for them but I didn’t even speak to him when I left. I had a conversation with a guy called John McGregor who used to played for Liverpool and was reserve coach for Glasgow Rangers. He just liked his reserve keeper who was a young lad but I don’t believe he was as good as me but I said to him; Am I going to get to play here? He said no, not unless there is an injury. I asked if I could have a trial game (they called them bounce games over there). He said no I can’t see you playing unless there is an injury to Collin. I should have spoken to Graham but instead I just left. So I went down to Middleborough and I played a couple of games there to prove myself. I played a really good game against a non-league side called Stockton on Tees and I played another non-league side on a Saturday afternoon. I also played in the youth team and had an absolute “blinder”. I also trained with them for another week or so. I had played with the youth team for about 4 weeks when I got to play some more reserve games for them against really good opposition and I played really well. A month later there was rumours going around amongst the boys in the youth team and the reserves that I would sign a contract. I wasn’t a head of myself but I was really keyed up and was hoping that that was the case. 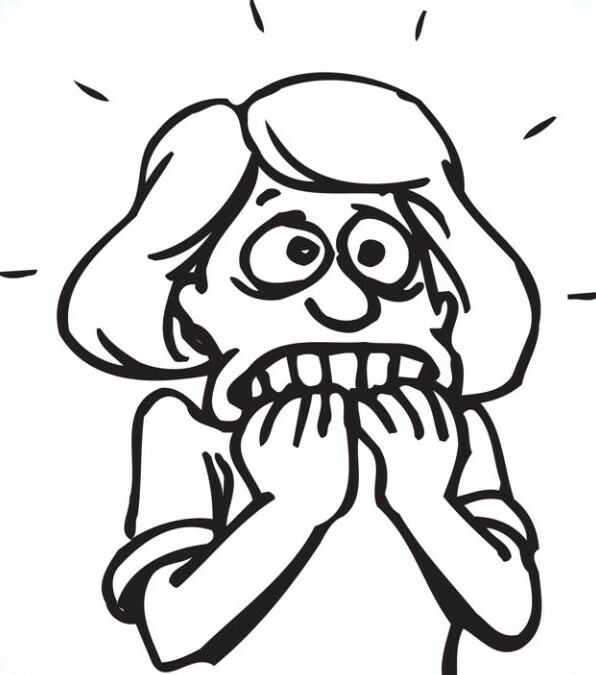 I was taken into a room and was told it should happen but it is not going to happen. I was just devastated. AI: So where did you live then, did you live by yourself? CH: Well at Rangers I stayed with my aunty and uncle just outside of Glasgow. Which was really good and they really looked after me, they were really good people. When I left them I stayed in, they called them YTS, Youth Training Scheme in Middlesbrough hotel. It was not like hotels today but it was bed and breakfast. They had a proper cook who worked for the club. Nice old lady running the facility. She kept us all in check with the other boys. We had players in the youth team from Ireland, Republic of Ireland, Scotland, Wales and all over the place. I had a ball. AI: Did you miss home or was it any time you felt it was just too hard? AI: So you basically never looked back. You were living a dream? CH: I didn’t miss home but I missed my mum & dad and my sister and my friends when things were hard. Like in those times when I left Rangers and more so especially when I left Middlesbrough and I look back now and its easy with hind sight but we don’t have the brain and the experience when we are 19. I just made bad decisions after bad decisions. Brian Little had seen me playing. He had moved on to become the Aston Villa manager and he had seen me play for Middlesbrough and wanted me to go to Darlington and they were top of the conference then. This is in the semi pro division which half the team these days are professionals. He wanted me to go there but I didn’t. I went to Stockport and then to Chester. I should have gone to Darlington and would have a really good chance to sign there. Then they got promoted, I think a year or two later, which is now the same as league 2 but instead I went elsewhere, it was a mistake. AI: Is that one of your regrets? CH: yes, it is a regret but as I said with my injuries I knew in my heart I couldn’t have gone on. AI: so it sorts of was meant to happen that way because of your injuries? CH: Yes, and I know that now so I can accept it. AI: But at the time it would have been very hard. CH: It is still hard to take some times. AI: yeah I could imagine that. I would love to talk more about your experience over there but basically everything came to a halt with the injuries and one day you realise that you can’t go on and keep pushing, so when you got back afterwards what happened then? CH: Then I came back working on building sites and things before I found regular employment again. Worked at FFSA for a while heading up the Futsal department. That was early 90’s. I left there after a couple of years. Worked night shift before FFSA which was hard yakka as security guard for a couple of years and worked as a floor sander for a couple of years. That was when I was around 24 years of age and I thought I tried to get back into the game because I really missed it and played 2nd div amateur. I was glad playing again but was really struggling with injuries again. Got back into a couple of state amateur teams one of which wanted me to go to Singapore and that never eventuated. We played here against a couple of other states. Yeah, so again, I done some good things but I loved the games too much to try not to play. AI: How did you get involved in coaching? CH: I went away again so basically I went back and played a year or two and then a year off with injuries again and so on and that seemed to be the only way I could handle to play. Still really fit at 27 I was speaking to some friends who gone to America to play indoor soccer. So I thought I give it a go just to have one last go. So I went to America and played indoor soccer there and I had done really, really well. I was about to get signed by one of the clubs for Major indoor soccer league for a new season but I failed a medical and I started to suffer from back spasms then. I had that for the first time before I went away but I just blocked it out trying to do my best. But I ended up doing a lot of coaching over there along with playing. I coached during the week and played professional indoor soccer (for a short time towards the end of a season) on the weekends. So I did a lot of coaching and that really opened up my eyes for coaching. I had done a few bits and pieces here especially in the state team when I was around 17-18. Sometime a club would ask me to come over to them and coach the 11-13 year olds. They loved to see you in the state gear and teach them some drills we did in the state team. We used to do that occasionally and I really enjoyed it. The boys loved it and even back then I loved to be around kids. I came back and realised I was about to have another period out of the game so started coaching. This was around 2006 for an academy based at Gawler Eagles soccer club. They collapsed in 2007 and 5 of the 10 keepers wanted me to continue coaching them so I started my own venture. 5 keepers slowly grew to 10 then to 15 over the course of a year and then I expanded to a Wednesday night and a Saturday morning also. In 2007 I coached the junior state team keepers for the FFSA for a couple of years also before concentrating on my academy and started doing my own goalkeeping training tours to the UK also.